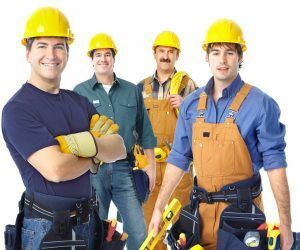 Kentucky Subcontractor Insurance. As a 1099 subcontractor, one of the many questions you might have as it pertains to insurance is whether or not you truly need to purchase your own commercial insurance policies. The answer will vary. In many instances, companies will not hire you if you do not carry subcontracting insurance; in other instances, companies will work with you as long as you signed paperwork and have a legal contract in place, stating if you do get injured (or if damage/loss ensues) they aren't liable. In many instances, the client (of a particular business that is considering contracting you) might also have liability requirements, and may not want to work with you if you do not have a Kentucky subcontractor insurance policy in place. Kentucky subcontractor insurance protects your 1099 contracting business from lawsuits with rates as low as $37/mo. Get a fast quote and your certificate of insurance now. What Does A KY Subcontractor Insurance Policy Cover? It is wise to determine the level of protection both needed and required as a 1099 subcontractor. Additionally if the companies you are hired by require you to purchase a Kentucky subcontractor insurance policy - you must also have at least the minimum amount of coverage which is required by those companies. 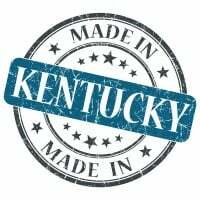 Request a free Kentucky Subcontractor insurance quote in Alexandria, Ashland, Barbourville, Bardstown, Beaver Dam, Bellevue, Benton, Berea, Bowling Green, Brandenburg, Cadiz, Calvert, Campbellsville, Carrollton, Central, Cold Spring, Columbia, Corbin, Covington, Crescent Springs, Crestview Hills, Crestwood, Crittenden, Cynthiana, Danville, Dawson Springs, Dayton, Douglass Hills, Eddyville, Edgewood, Elizabethtown, Elsmere, Eminence, Erlanger, Flatwoods, Flemingsburg, Florence, Fort Mitchell, Fort Thomas, Fort Wright, Frankfort, Franklin, Georgetown, Glasgow, Graymoor-Devondale, Grayson, Greenville, Harrodsburg, Hartford, Hazard, Henderson, Highland Heights, Hillview, Hodgenville, Hopkinsville, Hurstbourne, Independence, Indian Hills, Irvine, Jeffersontown, La Grange, Lakeside Park, Lancaster, Lawrenceburg, Lebanon, Leitchfield, Lexington-Fayette, London, Louisville, Ludlow, Lyndon, Madisonville, Marion, Mayfield, Maysville, Middlesborough, Middletown, Monticello, Morehead, Morganfield, Mount Sterling, Mount Washington, Murray, Newport, Nicholasville, Oak Grove, Owensboro, Paducah, Paintsville, Paris, Park Hills, Pikeville, Prestonsburg, Princeton, Prospect, Providence, Radcliff, Richmond, Russell, Russellville, Scottsville, Shelbyville, Shepherdsville, Shively, Simpsonville, Somerset, Southgate, Springfield, St. Matthews, Stanford, Stanton, Taylor Mill, Union, Versailles, Villa Hills, Vine Grove, Walton, West Liberty, Wilder, Williamsburg, Williamstown, Wilmore, Winchester and all other cities in KY - The Bluegrass State.